It's mid-morning in South Los Angeles, and already the air is smoggy, the weather humid and uncomfortably hot. 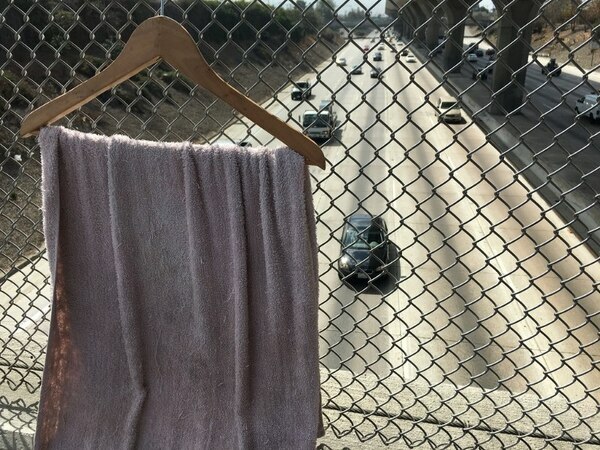 Atop the 110 Freeway overpass along Vernon Avenue, the day begins for Jossie Samamo. 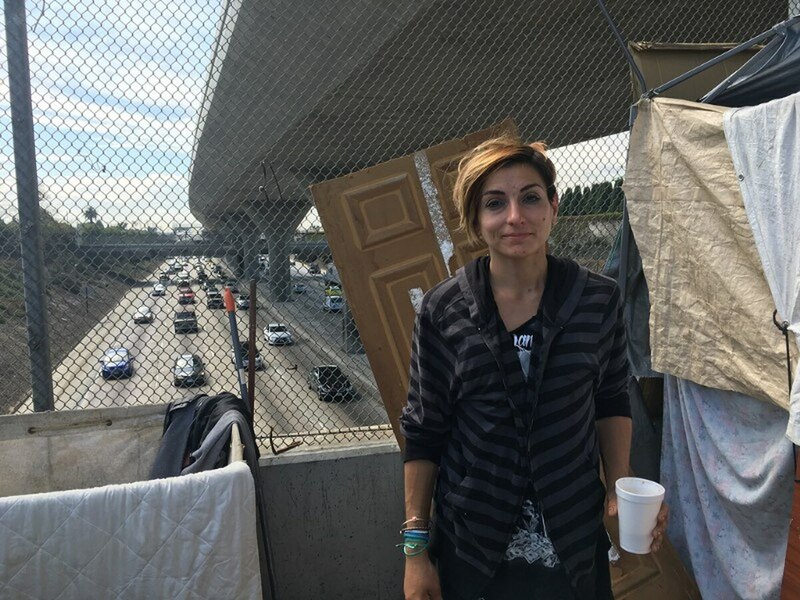 She is one of the many homeless living in tents perched on bridges overlooking the highway. Cars whiz by below, oblivious to the seemingly bleak situation above. Peeling an orange and clutching a cup of hot water in her roughly 10-by-10 space, Samamo laments her living conditions. There is no running water, no electricity, no sanitation. "It's definitely rough learning to survive," Samamo said. She has seen the city try to help, but in her experience, the aid doesn't do enough. But now, a new effort aims to change such perceptions with a new program to help curb the burgeoning homeless crisis in Los Angeles. The city, with the support of Los Angeles Mayor Eric Garcetti and Los Angeles Police Chief Charlie Beck, launched a pilot of the Homeless Outreach and Proactive Engagement (HOPE) initiative in San Fernando Valley in May and began implementation in South LA in October. Los Angeles County has seen a 5.7 percent increase in homelessness in the past year, from 44,359 in 2015 to 46,874 this year, according to a Los Angeles Homeless Service Authority study. Homeless encampments are also on the rise, according to the Los Angeles Police Department. In the past, the city has resorted to clearing out encampments by conducting sweeps. According to the National Coalition for the Homeless, 961 encampment cleanups were conducted in 2015 and 1,355 tons of material were carted off. Samamo says the sweeps displace the homeless, revisit the same sites and only relocate the issue. "They're not disinfecting things right," Samamo said. "They just make us move stuff around constantly. There's no major difference with them coming in." LAPD Cmdr. Todd Chamberlain, a homeless coordinator who is helping to spearhead the initiative, acknowledged that in the past the city has implemented many programs that have not produced the results he would have liked. "We realized as much as it would be great to get homes and housing for everybody, we're not at a position to fulfill that need," Chamberlain said. The HOPE program, according to Chamberlain, attempts something new. HOPE is a collaboration that ties in various city services, from the sanitation department to social services, and connects homeless residents to these resources while maintaining healthy and safe streets and sidewalks. The HOPE task force also pairs a team of 10 police officers and one sergeant specially trained in mental health and narcotics work, with experts from LAHSA who assist in ensuring encampments are sanitized properly and free of biohazards. Suzanne Wenzel, a professor in Urban Social Development at USC, who is also on the Research Council of the National Alliance to End Homelessness, believes the program satisfies the three "Pillars for a City" homelessness strategy implemented by Los Angeles Mayor Eric Garcetti — providing satisfactory rights and sanitation for homeless people on the streets. "Police aren't just saying, 'Scram, get out of there' anymore," she said. "Now they're saying, 'We have services. Do you need help?'" In addition to redefining their role, HOPE team officers have had experience in dealing with the homeless through outreach. South LA officers will be from the LAPD South Bureau, and have working knowledge of the region, Chamberlain said. "What they're really doing is building relationships so they can find out what's keeping the person in the streets, what's keeping them homeless?" Chamberlain refers to HOPE as a "superteam" and a "one-stop shop," placing multiple practices under one umbrella. Instead of conducting sweeps and displacing the homeless, HOPE team members talk to the homeless and try to understand what they need. He also anticipates that as HOPE teams roll into South LA, they will help understand the complexities of homelessness in the area, reduce crime and improve relations between the LAPD, the homeless and nearby residents. However, some in the homeless community maintain a sense of distrust. "[Our people] are big money for the city with all the criminal behavior," said one homeless man who wished to remain unidentified, referring to fines levied against homeless in illegally-placed encampments. The Los Angeles Community Action Network, a local group that assists people in poverty, is also skeptical of what HOPE can achieve due to the conflict of interest in which it places officers. "There is a fine line between outreach services and criminalizing homeless individuals, especially when you involve law enforcement officers in outreach," said Eric Ares, the director of finance and communication for LA CAN. Ares said he has heard complaints about HOPE officers from homeless people in San Fernando Valley. He sees the program's underlying objective as a "take these services, otherwise we will take your property" kind of approach. "They're using their velvet glove as an iron fist in the form of outreach," Ares said. Though Wenzel expressed optimism for the program and sees the progress it could make as encouraging, she added it was important to hold officers accountable. "We absolutely have to be vigilant that this doesn't turn into an excuse [for homeless sweeps]," she said. The discourse of the skeptics are what Chamberlain, the LAPD and the city want to change. While Chamberlain said the initiative in South LA was "going well" in its first few weeks, he also admitted to "growing pains" attributed to the vast amount of resources it takes to police a metropolis like Los Angeles. Still, he said those involved in HOPE and its implementation are looking forward to long-term results and seeing if the program will be sustainable. The impact, Chamberlain said, will likely take some time to see. Reach Staff Reporter Eric He here. 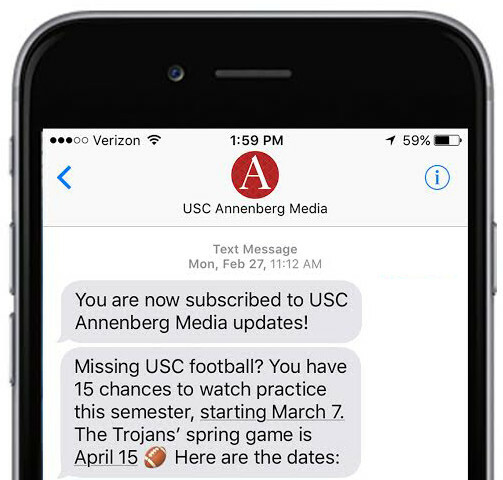 Eric is a sophomore majoring in journalism at USC. He works in the Media Center as a multimedia journalist and is also a sports editor at the Daily Trojan.